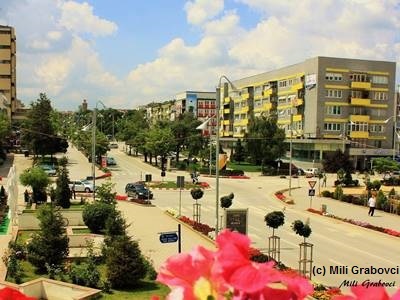 Gjilan is a big town in the East of Kosovo. Serbians do write Gnjilane. 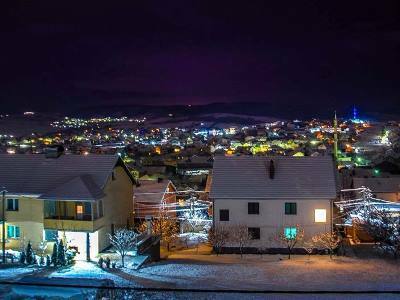 The city has around 90.000 inhabitants and is not that far from the capital Pristina. Just like in many other towns of Kosovo, Albanians are the vast ethnical majority. A small percentage has the Serbian ethnicity. Some other minorities are present there too. Until the 1990’s, Gjilan had several profitable factories, producing tabacco, textile, radiators and batteries. If you want to visit the city, we advice you to check out the main mosque, Xhamia e Çarshisë, which was rebuilt in modern Arab style after earthquake damage. There is also a Serbian Orthodox church, Saint Nicholas (Crkve svetog Nikole), which is beautiful. After visiting some religious sights, it’s always a good thing to have a coffee or beer in the center of Gjilan. Especially in the summer, the many bars and restaurants are crowded. When you are lucky, you spot some fancy cars of successful migrated Kosovars, who spend the summer in their homeland. The city of Gjilan brought forward some football players. One of them is playing for the Swiss national team. The reasons for this is because many Kosovar families migrated to the West in the 1990s. The Kosovo born player of Switzerland had an important role in reaching the World Cup in 2014. His name is Xherdan Shaqiri. He even scored a hat-trick at the world cup and brought his country (Switzerland) further in the competition. During Euro2016, he scored a beautiful bicyle kick. But he was not the only one of that golden generation. The player feels very attached to Kosovo and his Albanian ethnicity. A picture of the shoe of Shaqiri became famous; the Swiss, Albanian and Kosovar flag was visible on the shoe. Read more about football at our page about Kosovo Football.